Unethical puppy dealers are too easily able to bring underage, sickly, or undocumented puppies into the UK, Alex Cunningham has warned, with the necessary patrols at many of our ports being ineffective amidst a lack of any requirement for enforcers to carry out even a basic sight checks on animals being imported. A report by Dogs Trust found substantial evidence that underage puppies are still regularly entering the country on false documentation and being subsequently sold to unsuspecting consumers, and the Stockton North Labour MP expressed his consternation that the charity had managed to successfully transport a stuffed toy with a pet passport three times without anyone noticing the dog was not alive. Following an initial report into puppy smuggling in November 2014, Dogs Trust this year conducted a second investigative report focused on puppies travelling illegally into Britain under the Pet Travel Scheme (PETS). The findings highlight instances of breeders and dealers from Eastern Europe using PETS for the commercial importation of puppies to Britain when it is applicable only to owned pets, as well as puppies being bred in horrendous conditions and vets in Lithuania and Romania falsifying data on pet passports. 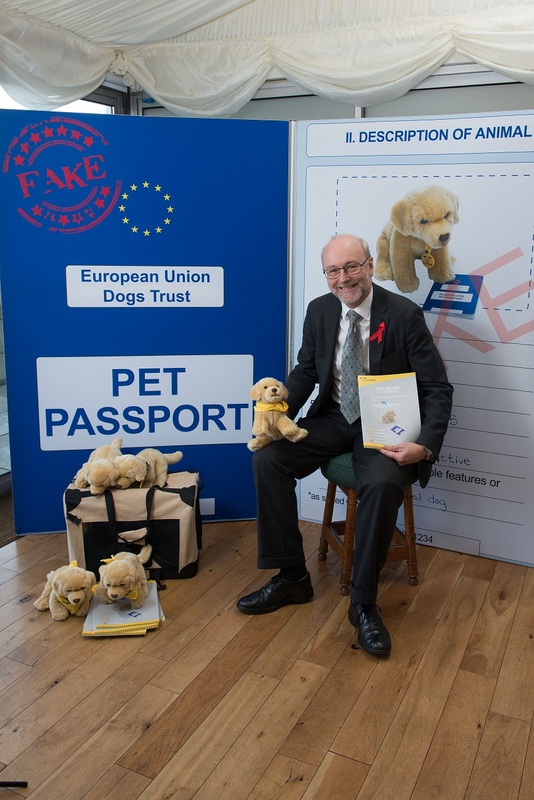 “I am pleased to support Dogs Trust in raising awareness of the issue of illegal puppy smuggling – something which affects many people in my constituency each year. “Not only is this issue affecting unwitting members of the public who are buying puppies without knowing where in the world they have come from, but it also brings with it a risk of disease to humans and dogs which is simply unacceptable.